Each year, we select a handful of fellows who are guided through our unique curriculum and coached on the practices of community organizing. In 2015, we have had the privilege of working with an extremely talented crop of ten fellows whose work spans eight issue areas and extends across Nairobi and beyond. 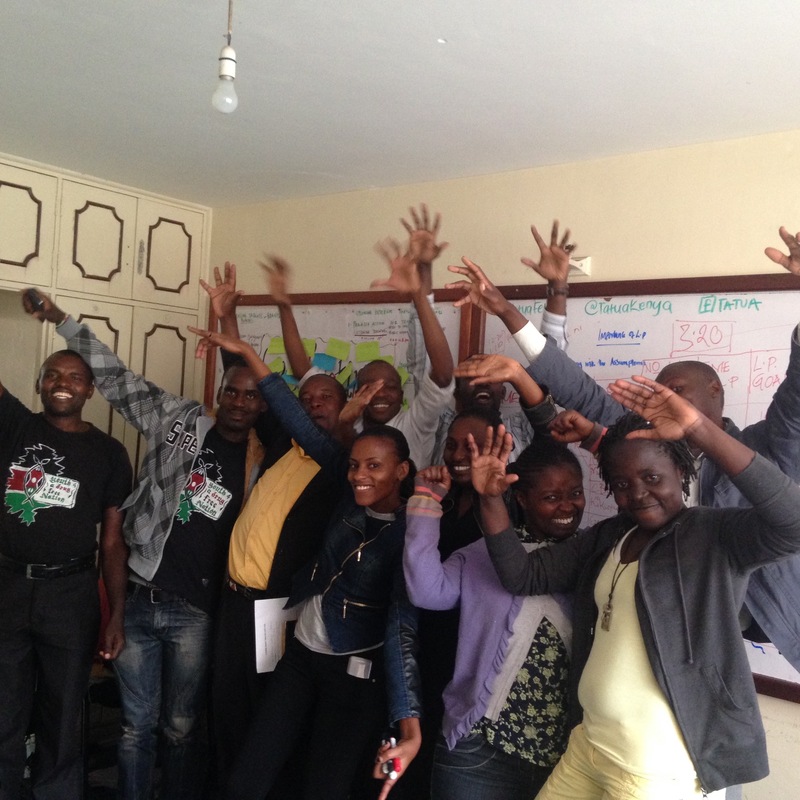 Most of our fellows and their coaches at a recent group gathering at the Tatua offices in Nairobi. The team was celebrating the successful completion of the first phase of the fellowship: the Listening Project!